January 12, 2017 – The New Year has brought on some changes for GJEP. We said farewell to Terri Jones, who is pursuing a new opportunity at HopeWest, and welcomed Jennifer Seal to take over as Director of Operations & Investor Affairs (see Jennifer’s bio here). We moved a few seats around on the GJEP board as well, bidding farewell to a few members, adding some new and familiar faces, and switching up the executive team. Tim Fry, President at MRP (Mountain Racing Products), will lead the charge as GJEP’s 2017 board chair. 2016 was an amazing year for creating economic development momentum within the Grand Valley. Some of the key ingredients that drove the momentum were innovation, collaboration, support, and effort. Innovation – Innovation came from leveraging programs like Jump-Start that have already attracted seven qualifying companies with the potential to create over 540 jobs by 2020 (with more Jump-Start companies to come in 2017), and marketing efforts like the Grand Day CO video, which rallied over 50 local businesses and residents to place a spotlight on the Grand Valley’s unique quality of place. Collaboration– Collaboration has always been strong in the Grand Valley, and the level of collaboration on the economic development front in 2016 was unprecedented. All of the ED partners – the local chambers of commerce and visitor’s centers, The Business Incubator Center, Mesa County Workforce Center, Colorado Mesa University and the regional airport service – played a pivotal role in finding opportunities and making those opportunities a reality. Every ED partner brings a unique strength or connection that is critical in the overall success of economic development. 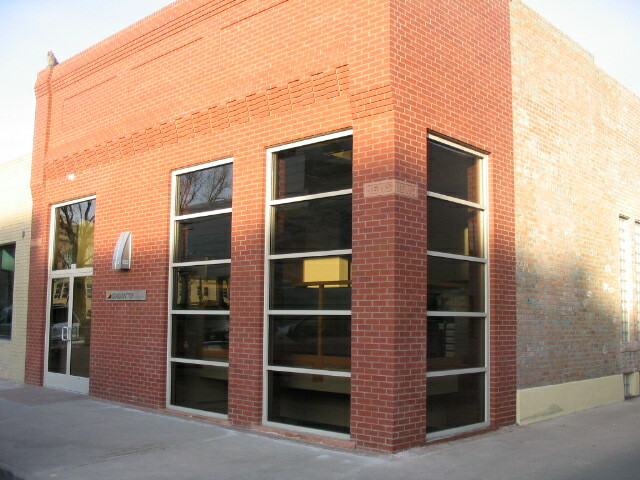 Support– GJEP is a private/public partnership and could not achieve its mission without the support of its public partners (Mesa County, City of Grand Junction, City of Fruita, and the Town of Palisade) and all of the private investors who understand the critical role that GJEP plays in shaping the local economy long term. From the increased investment that the local communities are putting into economic development, to the long-time investors who step up to the plate annually to support GJEP, and the many new investors in 2016, the community is coming together to shape our own destiny. Effort– GJEP is fortunate to have a strong staff that brings commitment and talent to the table every day. And a strong board of community leaders committed to not only putting their dollars into growing our local economy, but their time and wisdom as well. The staff and board are committed to ensuring that efforts are strategic, but nimble enough to seize upon unexpected opportunities – a perfect winning combination. In business, some years you look back and realize that change is necessary to get the results you want in the coming year. At other times, you can see the momentum that is being created and understand that what is needed is to continue the course – taking what has worked and stepping on the gas even harder, and trying some new ideas to not only increase the momentum, but turn that momentum into results. For 2017, GJEP’s focus will be exactly that, leveraging the momentum created in 2016 to attract additional primary job companies to the area and to help our local companies grow. To take some liberties with an old African proverb – it takes a community to grow its economy – and this Grand Valley not only understands that, but is living proof of that. As I take on the chair role of GJEP in 2017, I look forward to further innovation and collaboration and I thank our public and private investors, our staff, and our board for their support and effort. To a great 2017! Tim has been a member of the GJEP board since 2011. He served as vice chair in 2016.